Satisfied with the results of the 1965 resettlement partnership, the federal and provincial governments agreed to another five-year term. The "Second Newfoundland Resettlement Agreement" was signed on July 17, 1970. At the federal level the administration of the programme now belonged to the Department of Regional Economic Expansion (DREE), established in 1968. At the provincial level it was administered by the Department of Community and Social Development. Resettlement became part of DREE's Social Adjustment and Rural Development Program, designed to coordinate with a 'special areas' policy. A 'special area' was defined as being in need of funding to enhance regional economic growth. The concept assumed that larger communities offered a wide variety of economic opportunities. Eight 'special areas' (groups of adjacent communities) were designated in Newfoundland. In three of those areas (St. John's-Conception Bay, the Burin Peninsula, and Hawke's Bay-Port au Choix) fishing was the main economic activity. Generally, 'receiving communities', which were further broken down into Major Fishery Growth Centres, Other Fishery Growth Centres, and Designated Growth Centres, fell within DREE 'special areas'. Under the Second Resettlement Programme some 'receiving communities' fell outside the 'special areas', but were considered to have potential growth and employment opportunities. Interestingly, the word 'fisheries' was dropped from the second agreement even though the majority of the 'designated outports' were fishing communities, and many receiving communities were larger ports with modernized fish plants. 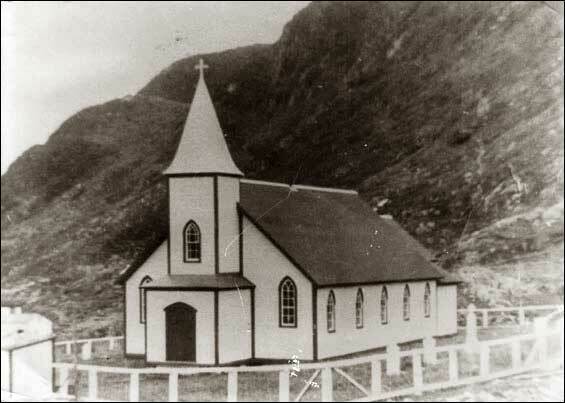 St. John Anglican Church, Grole, NL, built in 1945. The commuity was abandoned by 1971. For more information visit the Maritime History Archive's Grole section of their Resettlement site. Reproduced courtesy of the Maritime History Archive (PF-328.011), Memorial University of Newfoundland, St. John's, NL. Many aspects of the new resettlement programme remained the same. To obtain assistance householders had to be from 'designated outports' (80 percent agreement to move) or, under the second agreement, from a 'sending community' - defined as a community where a substantial number of the inhabitants (15 percent) wished to move. All the terminology, including 'eligible householder', 'dwelling', and 'household' remained the same. Money was still paid to the householder after the completion of the move. The changes were few. The relocation grant was increased from $1,000 to $1,200. The Household Resettlement Committee became the "Resettlement Committee for Newfoundland," consisting of four representatives from each level of government. Under the original programme, the federal government paid approximately two-thirds the cost of resettlement. Under the second agreement, the federal government agreed to pay 100 percent of the travel and removal expenses, 75 percent of the relocation grants, and 50 percent of the grant money required for building lots. If the relocating households moved to DREE special areas, the government would increase assistance in the latter categories to 90 and 75 percent respectively. Considering these figures, it is not surprising that the federal government's financial contribution to the resettlement programme reached $2.5 million annually by 1970. The lack of both professional staff and a well thought-out strategy for moving large numbers of people continued to be a major issue when it came to administering resettlement. Even by the time the second agreement was in place, senior government officials expressed concern that strict guidelines needed to be implemented to ensure the success of the programme. There were still thought to be too many rural communities with small populations of people. In devising stringent criteria for reducing the number of rural outports, officials used the number of communities in comparative isolation and the number of 'unincorporated' communities - places with no official or legal boundaries and relatively low populations, as indicators for resettlement. From the 1966 census data officials identified 1,293 unincorporated communities containing 48,615 households and 245,633 individuals. This was almost half of Newfoundland's population. The Newfoundland Isolation Index was created to assess the degree of isolation of communities desiring resettlement. A numerical scale from 0-10 was used with three essential indicators: education, medical, and communications facilities. A score of 10 meant non-existent or inadequate facilities. The index enabled officials to prioritize communities in order of need. Likewise, there was a scoring system for the potential 'receiving community'. A community's status was based on such indicators as welfare, unemployment, and economic development prospects. A receiving community had to achieve at least 56 points on the scoring system, had to be a community which fell under DREE's guidelines for economic expansion, and had to possess adequate services and employment opportunities. Only around 24 communities resettled under the DREE agreement. However, an additional 262 households were assisted between 1970 and 1975, though their communities were not completely evacuated. The second resettlement agreement provided that in communities considered to be in "major" or "intermediate" isolation, but where only a minority of the households wanted to move (a minimum of 15 and 20 percent respectively) assistance could be provided. This explains the large numbers of individual households resettling under the second agreement. Emphasis on resettlement waned a few years after the new agreement was signed. This may have been due in part to the fact that very few communities (including the growth centres) were able to qualify as receiving communities. Besides the eight DREE special areas there were only 22 other receiving communities approved province-wide. This limited destination choices for would-be resettlers. 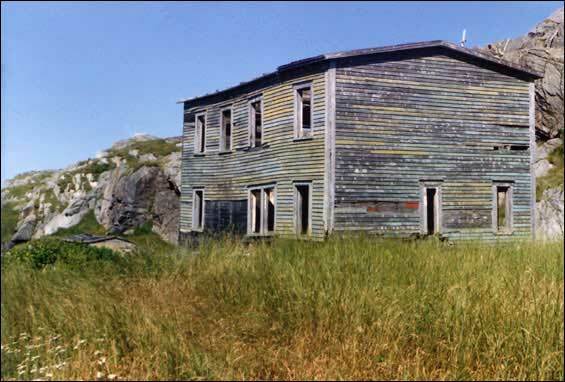 At no point did resettlement become a political issue, though opposition was voiced in the mid 1960s by some academics at Memorial University, who criticized the resettlement plans for Fogo Island. In their view, Smallwood's campaign for an industrialized Newfoundland had not succeeded. He had rationalized the population and eliminated a few hundred rural communities. But many of the resettled found themselves unemployed in their new communities, with expenses they could not afford. In the end, the primary benefit of resettlement seemed to be accessibility to services and modern infrastructure. Updated December, 2012. Resettlement video added May 2017. Images in the article added June, 2017.